Alfred Ritter GmbH and Co.
Today was Day #6 of Chocolate and Some Enchanted Islands Theme Week. 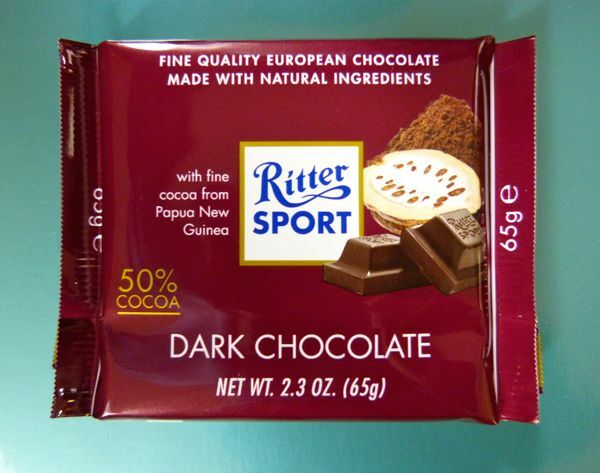 This Papua New Guinea single origin dark bar was from European chocolatier Ritter (Waldenbuch, Germany). 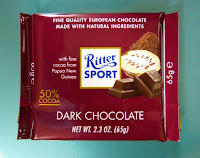 The familiar square-ish, individually wrapped Ritter bars come in many flavors—the company's dark hazelnut chocolate bar being my favorite flavor I've tried so far. 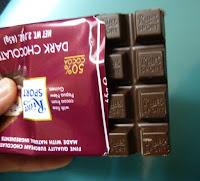 In most of these bars the country of origin (for the cacao) is not listed or specified. It can be challenging for a high-volume company to create a single origin bar, as their needs might easily exceed the output of a single plantation. They may need to blend and balance cacao from multiple growers in a region or country. And, unlike smaller makers, larger makers often need to have more consistent (and less unique) flavor over a longer period of time. Today's 50% cacao bar might be perfect if you have a craving for chocolate sweets. This bar smelled like a fresh batch of marshmallow chocolate fudge, and had that intense sweet, cocoa flavor as well. There was a very subtle earthy and slightly artificial* flavor at the finish; but otherwise it was enjoyable. Ingredients: "sugar, chocolate liquor, cocoa butter, soy lecithin, natural flavor*"
Stay tuned, tomorrow we'll continue our virtual island voyage with another Papua New Guinea bar. 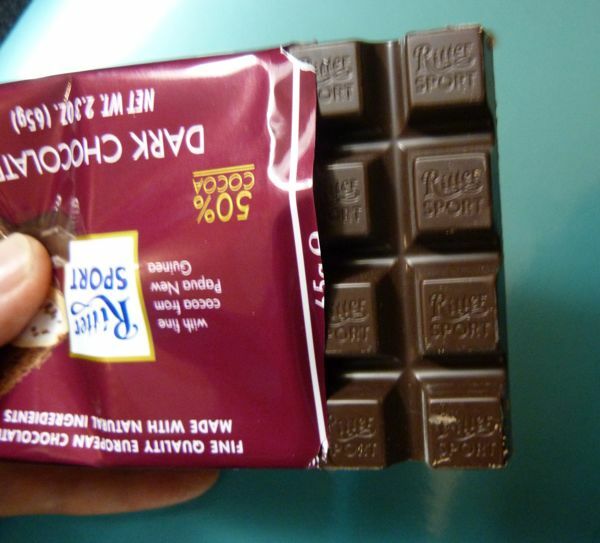 *It should be noted that the packaging for this bar stated that it was made with "natural ingredients." I don't really know what "natural flavor" means in this case. Unfortunately, the broad phrases "all natural" and "natural ingredients" have been so over-used, they don't mean much if they're meant to reassure people looking to either include or exclude certain substances in food items.